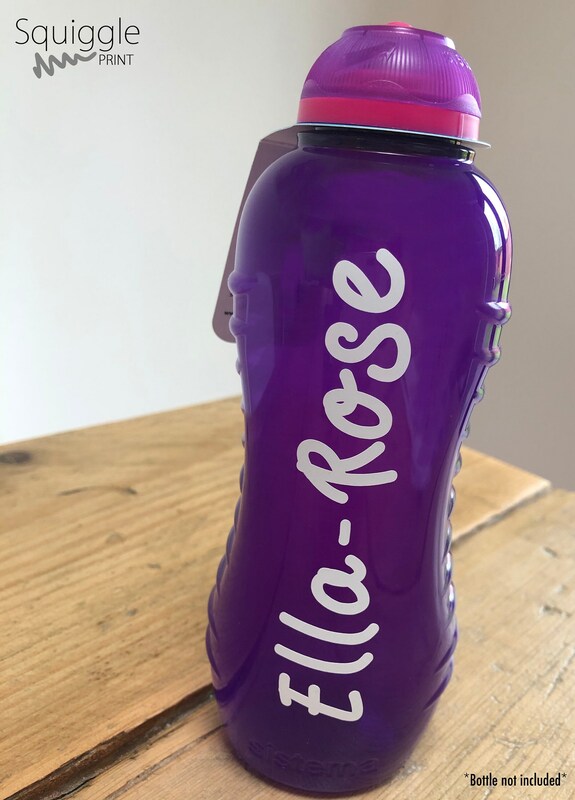 Personalise your water bottle yourself with these vinyl name stickers. 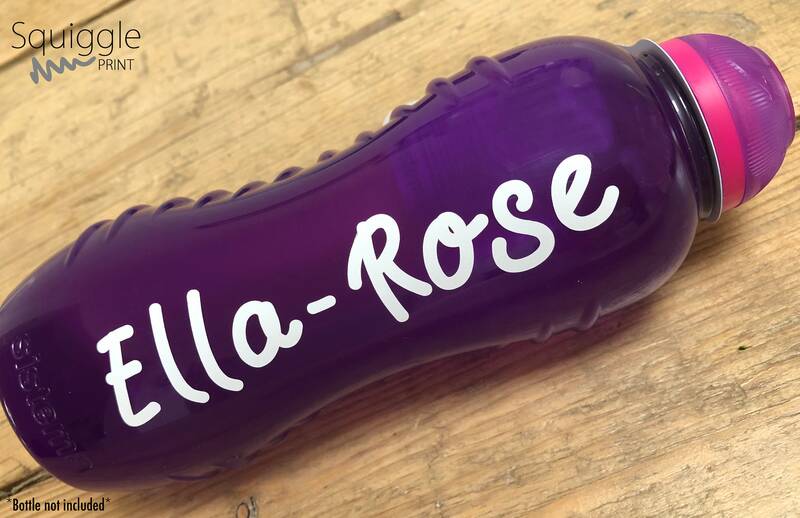 10cm in length (4") - Please note the longer the name the smaller the font size will be. NOTE: You are only buying the vinyl sticker not the bottle.